Vacationing becomes your lifestyle and your lifestyle turns into a vacation at Kala Point. With private residences, condos, and timeshare condos, this Port Townsend, Washington community is a perfect spot for vacationing, enjoying a weekend home, retiring, or savoring the feeling that every day is a holiday as a full-time resident. 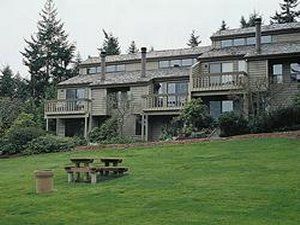 Situated on the Olympic Peninsula, approximately six miles south of the community of Port Townsend on Port Townsend Bay, this east-facing resort and residential retreat is nestled among stately evergreens. 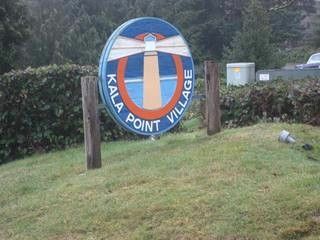 Nearly 370 acres in size, Kala Point properties include thirty-eight units available as timeshare condos. Vacation ownership of one of these exclusive units is available only on the resale market. With the Olympic National Forest to the east and the Glacier Peaks Wilderness and North Cascades National Park to the west, this area offers endless opportunities for hiking, mountain biking, bird and nature watching, and exploring the region’s natural wonders. 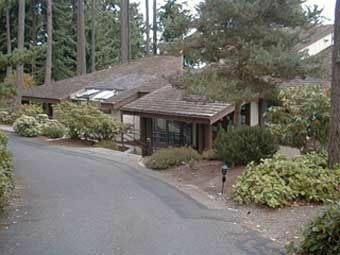 The resort includes nearly a mile of low bank, sandy waterfront as well as easy access for boaters to Puget Sound. Timeshare resales and rentals at Kala Point range from 940-square-feet designed to sleep six, to 1177-square-feet designed to accommodate up to eight. All units are a two-bedroom plan and have either one or two bathrooms. Some units have an additional sleeping loft. Every unit has a private deck or patio, a well-equipped kitchen, cable television, a DVD player, a fireplace and an in-suite washer and dryer. On-property amenities at this secure, gated resort include a clubhouse, seasonal outdoor swimming pool, seasonal children’s pool, year-round hot tub and sauna, boat day dock and overnight buoys, a small boat launch, playground, picnic tables and barbeque grills, and tennis courts. Other conveniences owners appreciate are a meeting room, free wi-fi, a recreation room, and temporary storage for small boats and RVs. All owners have the option to rent, exchange, or sell their timeshares and this privilege transfers to resale owners. These timeshares can also be traded for vacations at other destinations, through your paid membership with RCI or Interval International. Contact Kala Point Specialist Today!